Wild Clover Breweries, situated at the Wild Clover farm in Stellenbosch, received an accolade at the Sommeliers Selection Awards ceremony held on 26 July 2016. Their flagship beer, Double Owl Ale, has been chosen for inclusion on the Sommelier Selection 2016 wine list, in the category #10 ”Beers, Ciders and RTD’s”. 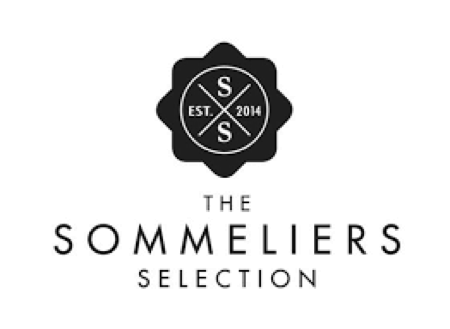 First of its kind in South Africa, the Sommeliers Selection competition is judged solely by a panel of South Africa’s Top Sommeliers, who blind tasted the wine and beer, in categories moulded around those of a wine list. The Sommeliers on the panel all have extensive local and international judging and work experiences as well as in-depth knowledge of international and local markets and of what consumers are looking for – in their drinking, food pairing, wine and beer preferences. “It is this beer that has led me to quit my day job. It is our flagship beer – this accolade promoted this fact clearly,” comments Ampie Kruger, CEO and brew master of Wild Clover Breweries. “The Double Owl ale is the perfect accompaniment of Wild Clover Breweries’ Pulled Pork Sandwich and the mouth-watering Handcrafted Burgers, as well as heavier red meat dishes”. Did you hear the one about the two owls who walked into a Taproom? Well, it’s a long story, best enjoyed with this English Brown Ale in hand. Because, if our two feathery local patrons have taught us anything, it’s that you shouldn’t watch the clock when appreciating the good things in life. This is something we also took to heart when finding the perfect balance between the malt and hops used in our flagship beer. This resulted in a fresh citrus character on the nose followed by a classic nuttiness on the palate which will linger for quite some time – which is just the way the night owls among us like it. So sit back with a friend and let the taste of this unfiltered Ale inspire you to truly savour the moment. It is not the first time that the beer has won an award. About six years ago, it won at the South Yeasters Competition and it also won the Real Ales Competition under the “Rooi Jan Ale”-label. If you want to find out more about the Double Owl Ale, or any of our other products, please visit our website or come in to our Taproom to have the full on experience.